For Sterckshof Silver Museum, Nilton Cunha produced the work Good Luck in silver and Corian. 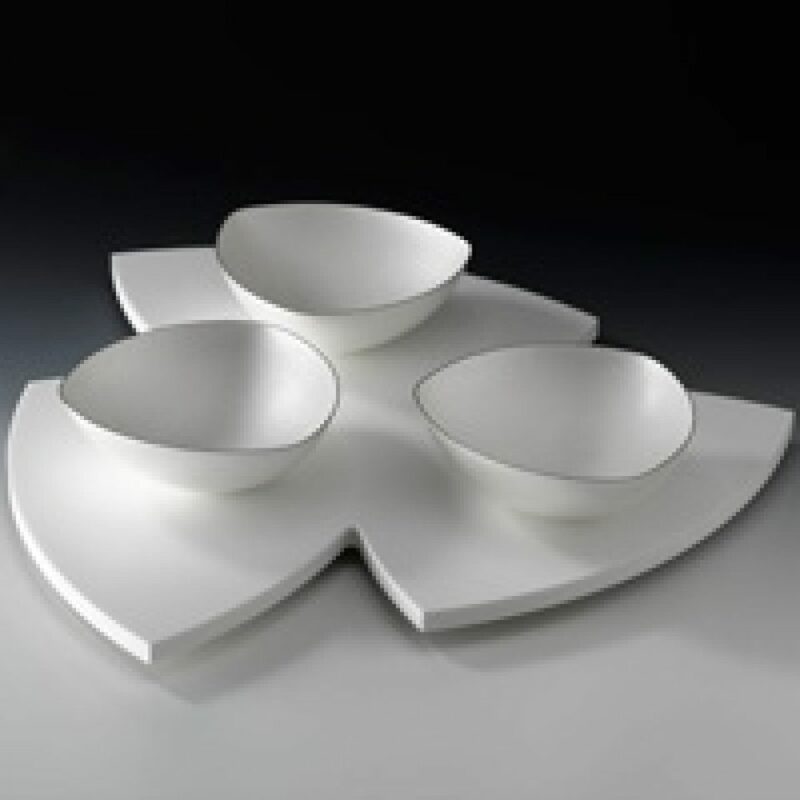 In this work, three rounded triangles, reminiscent of cloverleaves, intuitively formed a whole and were placed on a large, irregularly-shaped sheet of white Corian. For Nilton Cunha Good Luck is the emanation of two cultures, which have gradually become complicit and complementary. This symbiosis is the culmination of his joy and happiness.